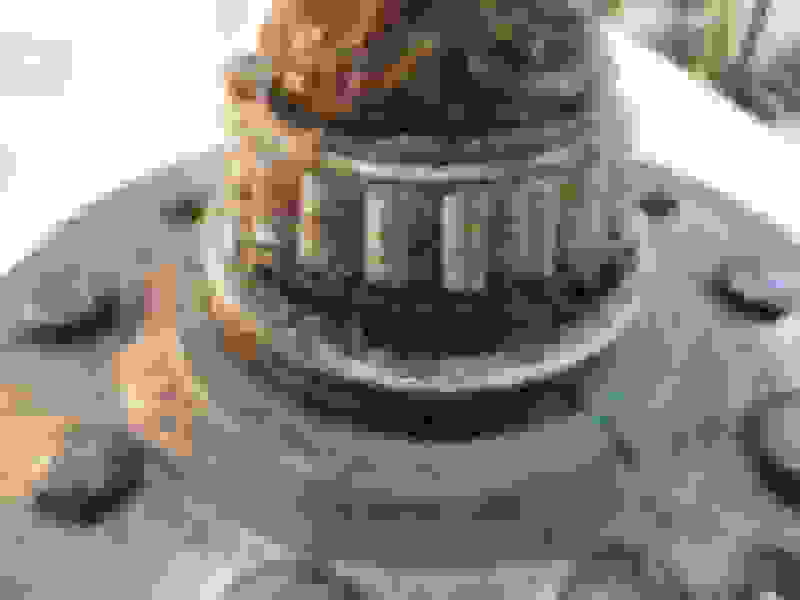 17K Mile 1976: Rear Spindle Service - Ever Wonder How Much Grease GM Used When New??? This car has only 17K miles on the clock. Now you must be asking: "WHY in the world would you want to service the rear bearings at ONLY 17K miles"? ...And the answer is, we plan on taking some long distance trips in our car this year, and to be SURE that my rear bearings (as well as the fronts) are up to snuff, I decided to service them for peace of mind. Bellow is what I found when removing the spindles. I've already completed the LH side and thought some of you might be interested in getting a peek into the past with the removal of virgin 42 year old rear spindles. Enjoy my journey! Using NEW spindle press I just purchased from ebay for $95 delivered...what a deal! 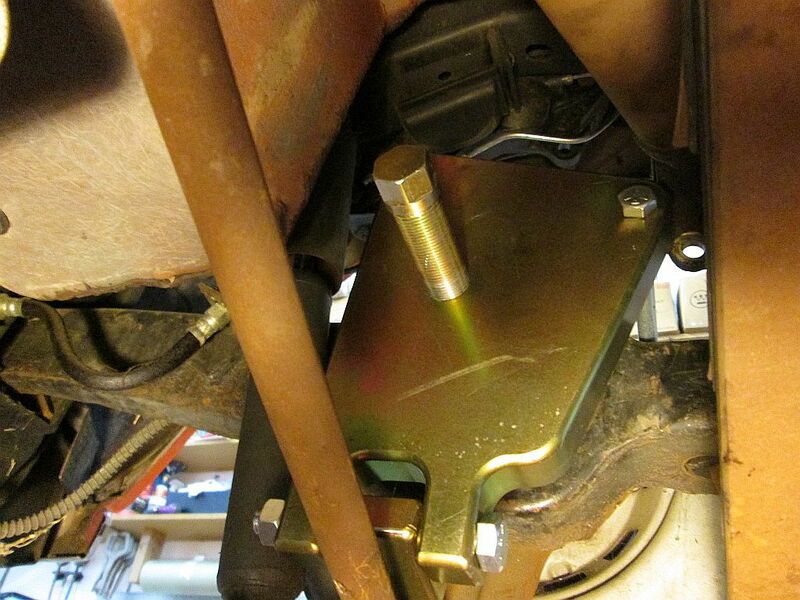 So simple to use too...Camber rod removal NOT required as is with the GM version of this tool. 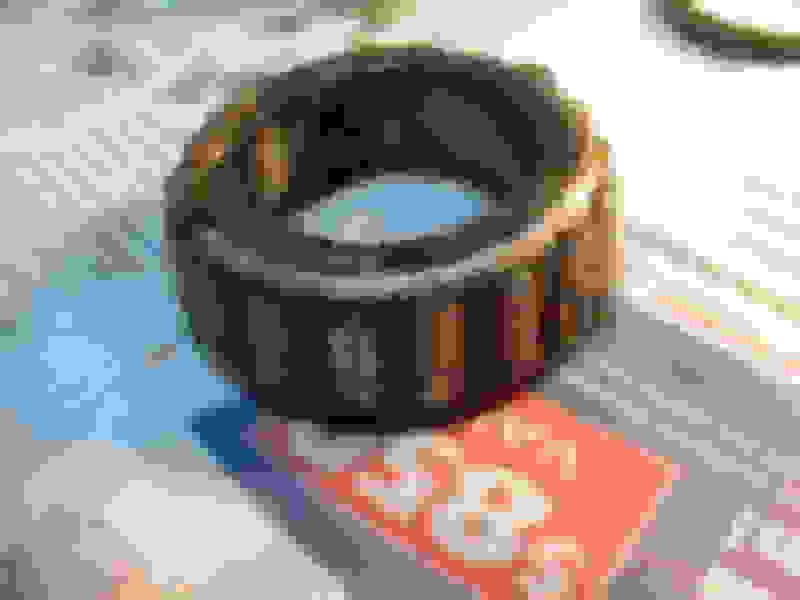 Something else I noted was the failure of the inner bearing grease seal. 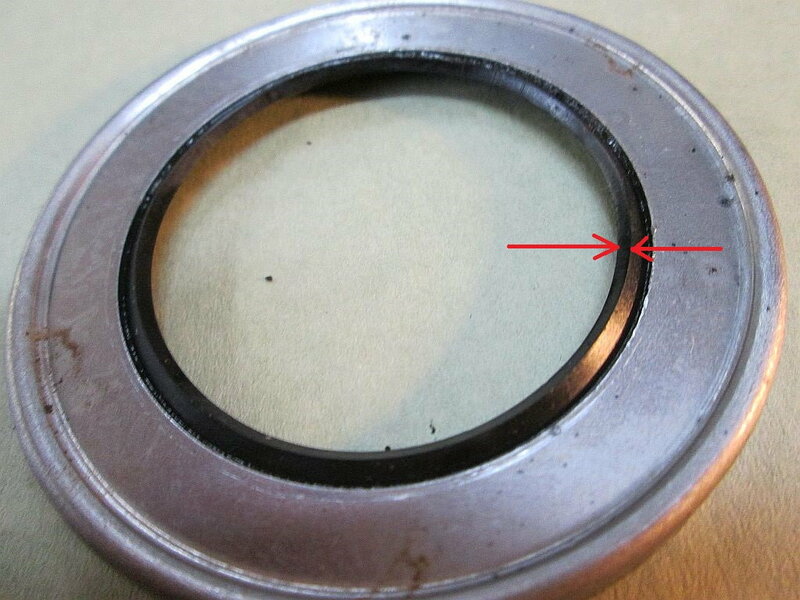 Note inside the inner bearing dust cap the amount of grease that leached out past the seal. 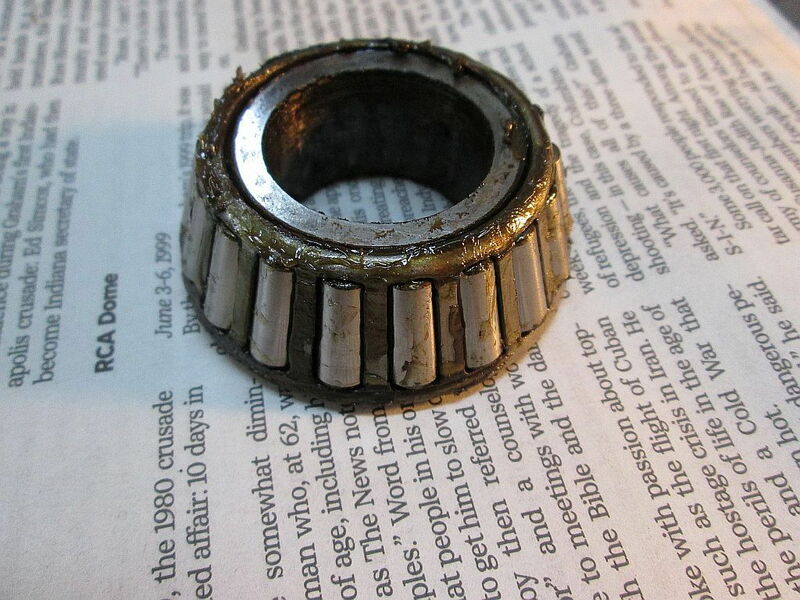 That explained why the inner bearing looked as dry as it did above. 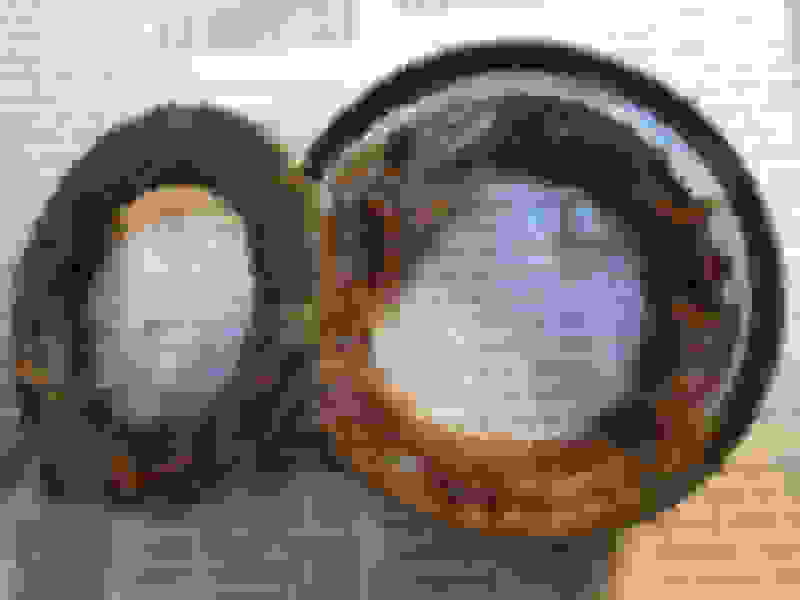 Below are pictures of the failed seal as removed. 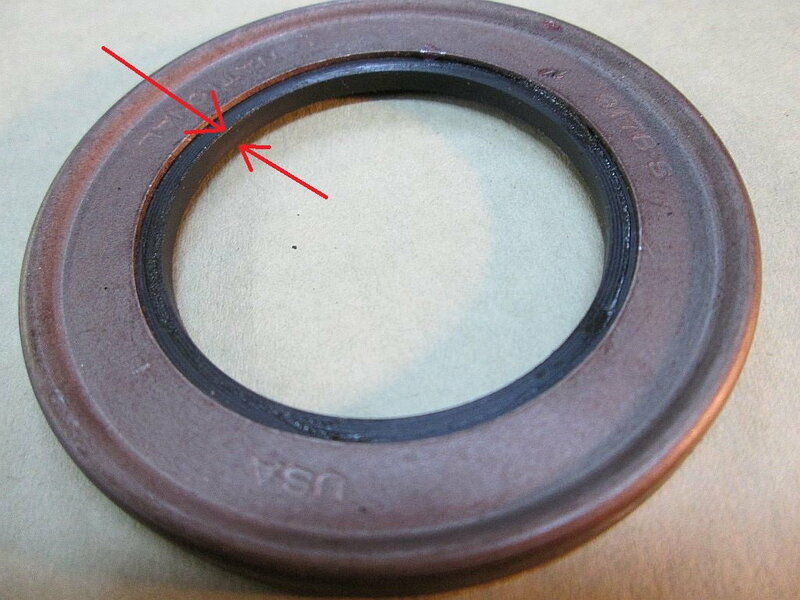 The original seal GM used was a very thin grease seal compared to the replacement. I cleaned the original grease seal to show a comparison of OE vs. New. All of my replacement seals Are Federal Mogul seal which are made by National Oil Seal, and all are MADE IN THE USA! Now it's back out to the garage to continue on with the clearance check, repack, and re-installation of the spindle. All parts cleaned and ready for the next step! 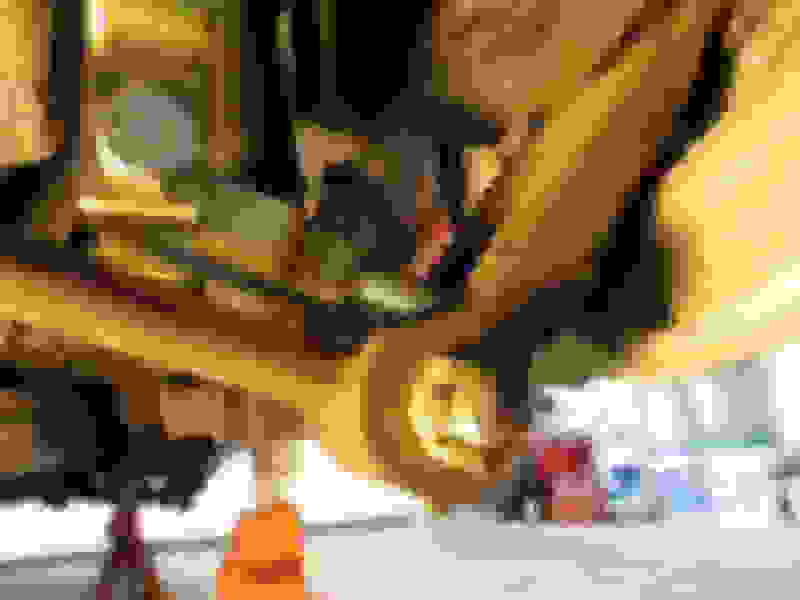 Last edited by Orange76L48; 02-25-2018 at 12:57 PM. This amount of grease is normal and it is NOT working out from the inner bearing. GM put it there they added protection to the inner grease seal. 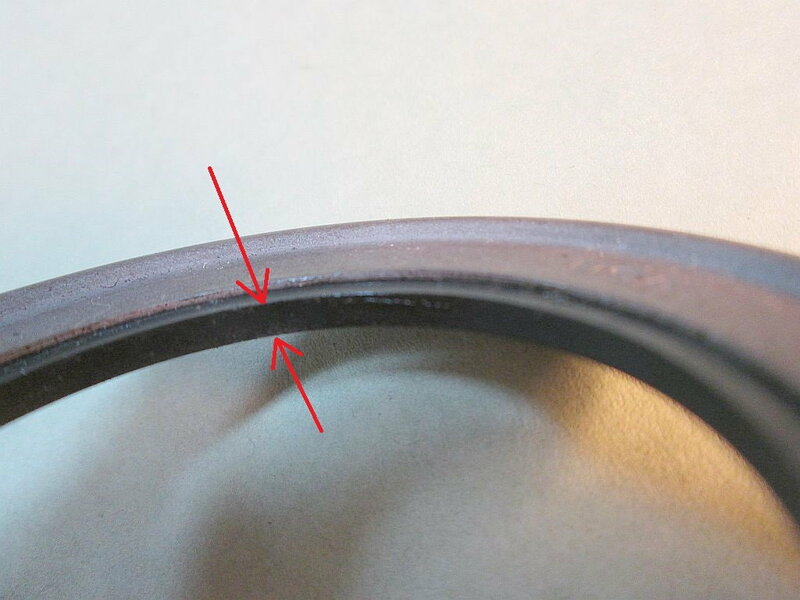 I have seen this countless times on factory un-touched rear wheel bearings. And how I know this to be true is how the grease that is there has a look to it that shows how the dispensing end of the tool that applied it. It looks like a bunch of round ***** that are about 1/4"+ in diameter....which actually kinda look like the roller bearings in your bearing. I am GLAD that your tool to remove the spindle worked for you. I can say that your car being so low in miles is a GOOD THING. Because IF the car had 70K miles or so on it....you can really break the caliper mount bracket trying to press it out. I have stopped using that tool due to I do not have time trying to get the spindle out and break that caliper mount bracket...and I have done well over a hindered in 30 years. AS for the concern in the amount of grease. I would not be too concerned. The reason is this. Go in and pack your front bearings and know that they are packed. Drive it for about 100+miles and take it apart again and see what you find. It is just what it is in this area. I would say to not be concerned and that is why the rear wheel bearing need to be serviced about every 50,000 miles. Also there is NO NEED to fill in the cavity of your rear wheel bearing housing. It will do you no good to put in more grease. It is not like the front that spins. Due to it staying stationary. All that it needs is a film of grease to keep it from rusting. How do I know this...well it is because I have taken apart rear wheel bearings that someone else clearly did. And they filled up the cavity...and the grease right beside where the bearing spins is still like they put it in and the bearing still looks like what you pulled out. But clearly do as do as you see fit. 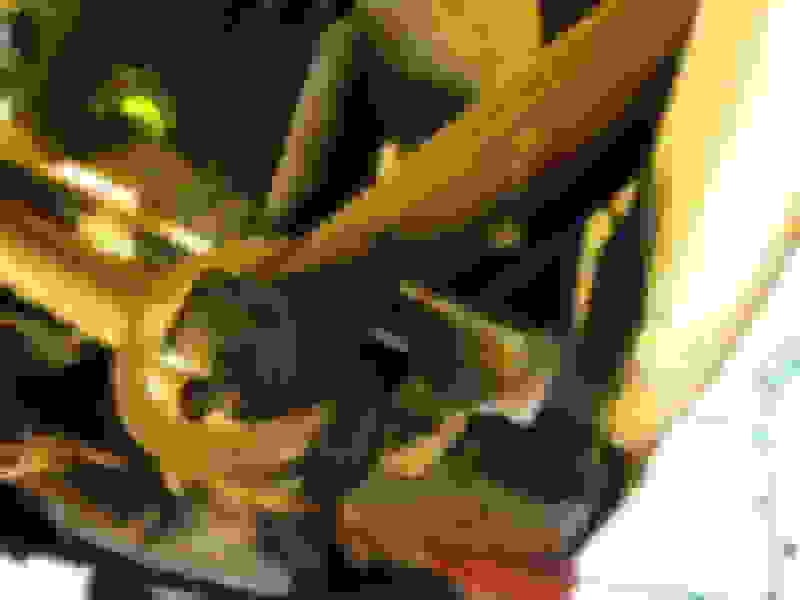 Last edited by DUB; 02-25-2018 at 07:06 PM. I simply packed the rear bearings the old school way (by hand) and added a little extra around each before pressing them back into place. I have read numerous posts about over-packing the cavities, and the problems that arise when the grease heats up and expands into the parking brake area. I did this service because we plan on taking this car on a trip down the "Mother Road", and there is no way I was going to trust that 42 year old grease was going to serve myself, my wife, and the car well on a trip like that. Having said that, I also upgraded to repacking with Mobil 1 synthetic grease. I'll feel good about not having to give any of my wheel bearings any thought for quite some time to come. Dave I have taken apart low mileage arms where there was nothing left of the grease. These were actually C2 arms, not that there is a major difference but the original grease used in the 60's was paste like. The 70's grease was better in my opinion and the grease technology today better yet. 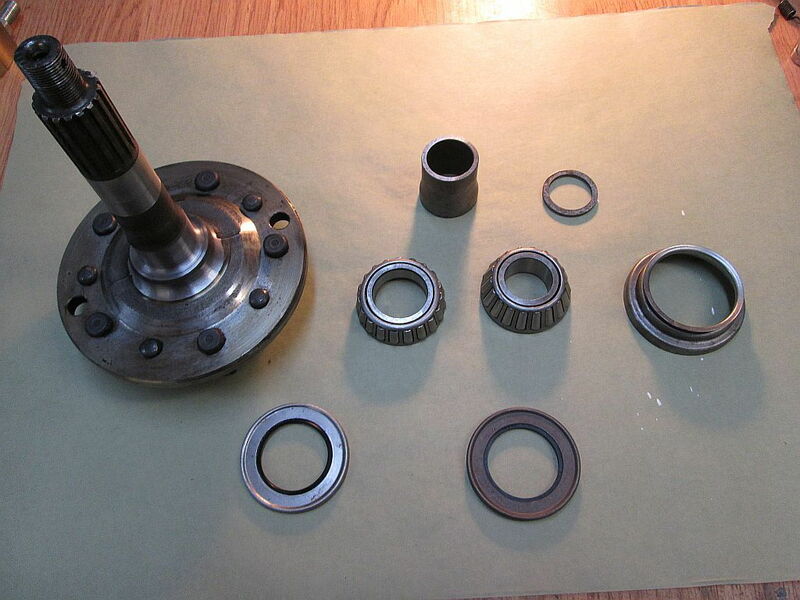 Did you just remove the bearings, then clean & regrease and reinstall with new seals? What was your final fitment? Do you feel any endplay if you grab a wheel stud and try to move it in/out? As DUB mentioned that tool worked well on low mileage cars and I am glad it worked well for you too. I have one, never used it yet. I do all my rebuilds with the arms out of the car on the bench. Nice write up, thanks for the post and the memory ! here is a 76 car I bought sometime back, original owner car, all the docs, w/ about 14k miles on it, had been stored away in his garage for 25+ yrs. Both rear wheel bearings took a poop within 300 miles once the car was put back into service. You're welcome! What happened to you was exactly the fear I had of what would happen if I started driving this car without performing this service. In my thinking, it was easier to take care of this now while I had the time and could work at my leisure than to be under the gun with a failure and torn up parts later on down the road... It gives that peace of mind that money just can't buy. Basically, yes, that's exactly what I did. 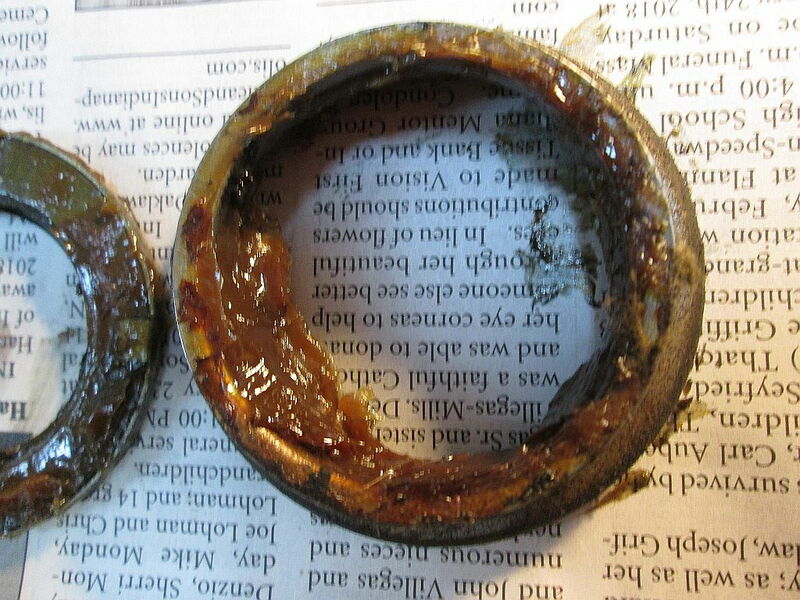 I cleaned all of the old grease out of the bearings, housings etc... and regreased with Mobil 1 synthetic. As I mentioned to DUB, I did not pack the housings full of grease, but they definitely have more than the paltry amount the factory put in there. Using my set up tool, with the factory shims I was .002" on the LH side and between .003 - .004" on the RH side. Once packed, I could not feel endplay, but I would attribute that to the new grease. The factory did a good job of the original endplay set up. These "new" old cars are so nice to work on...everything comes apart and goes back together so easily. All of the belts and hoses have been replaced. Calipers and MC are now all SS sleeved, new DeWitts radiator, new front seals in the A/C compressor (blows ICE cold), and the best part, the weatherstrips need nothing...the original owner kept them conditioned, and it shows. I actually gave it a water test with the interior upper windshield trim, pillar trim, and kick panels removed and it remained bone dry inside. When I got the car, it had "new" 17 year old tires on it...heck, they still had nubs on the tread. Those tires are now gone and have also been replaced with new ones. One of the 17 year old ones did find it's way into service as a spare and was mounted on an extra rally wheel I had. There was NO WAY I was going to trust the original spare in an emergency...it was holding air fine but had never been on the road once in 42 years. It's in storage now. As your post implies, just because a car has low mileage does not make it "like new" and truly roadworthy. 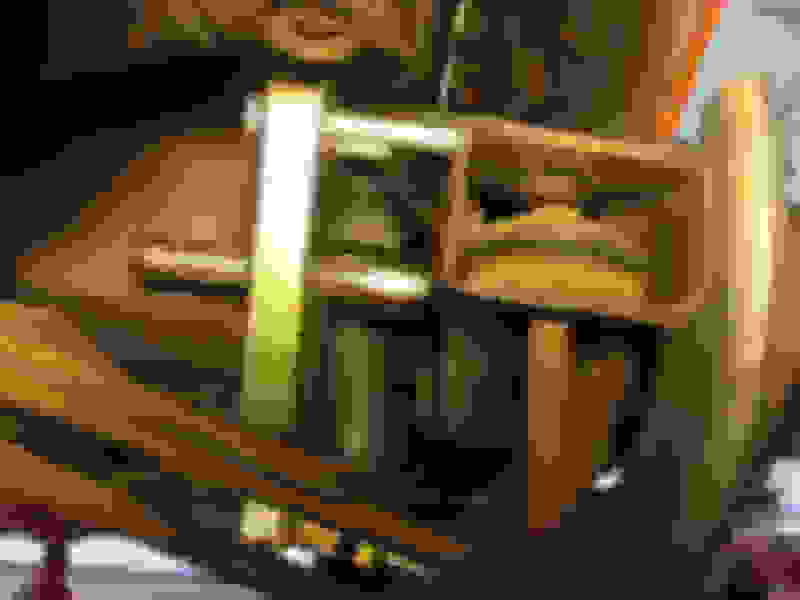 Quick Reply: 17K Mile 1976: Rear Spindle Service - Ever Wonder How Much Grease GM Used When New?? ?